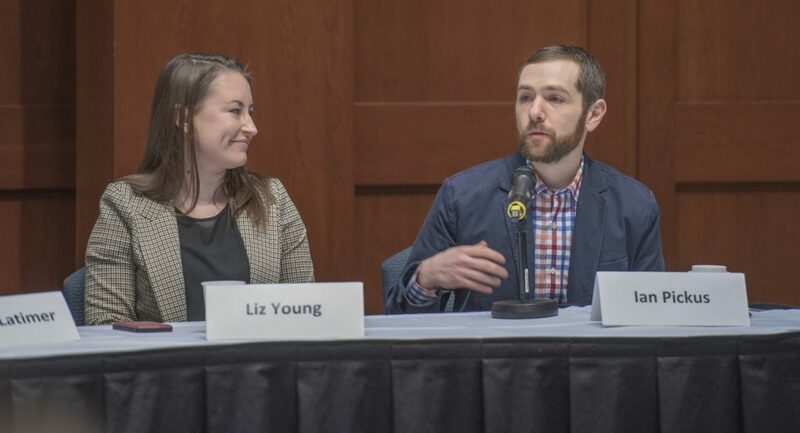 PRSA Capital Region kicked off 2019 with an awesome “Meet the Media” event at The College of St. Rose’s Touhey Forum in January. WAMC‘s News Director Ian Pickus moderated an engaging discussion among reporters Bethany Bump (Albany Times Union), Michael Hill (Associated Press), Justina Latimer (WTEN – News10 ABC) and Liz Young (Albany Business Review), covering everything from how they work with PR professionals to what’s happening in journalism today and what they think the future holds. This led to a conversation about some of the ways that journalism has changed over the years, which of course brought up the impact of social media. Justina Latimer described how social media has become a requirement in TV news, requiring a reporter’s attention even before they start digging into a story. 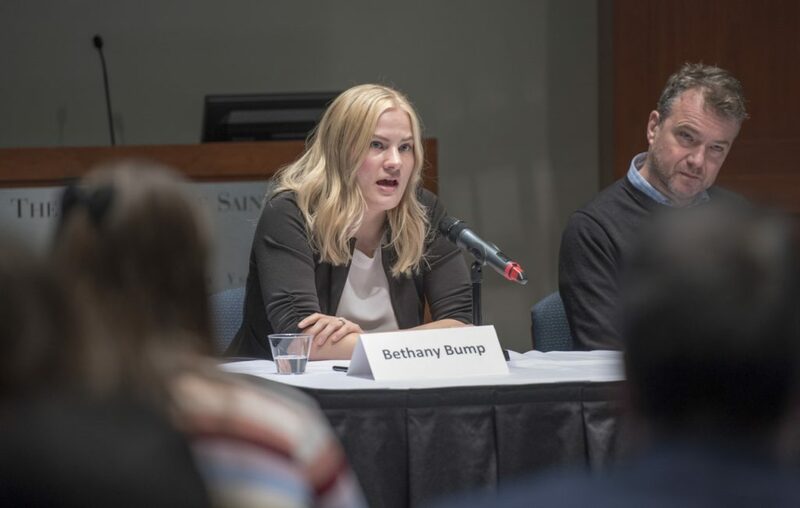 Bethany Bump explained how the work load for print reporters has changed, as audiences expect them to push their stories out on social, add audio and video to their content, and live-tweet the big events they are covering. The group also explored the dueling pressures they face when trying to satisfy an existing base of news consumers while looking to the future and doing their best to deliver news to people where they want to find it. Everyone is broadcasting content online now, so story ideas can come from anywhere. A good pitch is addressed to a specific person, and is targeted in a way that shows the pitcher understands the reporter’s job. A good local angle goes a long way. If you’re going to pitch a story, make sure you are ready to follow through when the reporter bites! Know your medium – understand the importance of audio, visual, and written content based on the news format that’s covering your story. Reporters sincerely appreciate a PR person who makes him/herself available and responds quickly, even if the response is that you don’t have an answer yet. As PR practitioners and avid consumers of news, we love to engage with members of the media. PRSA Capital Region is especially grateful to Ian Pickus, Bethany Bump, Michael Hill, Justina Latimer and Liz Young for sharing their insights and observations to kick off a new year of local PRSA programming. It was a great first event of 2019, and you won’t want to miss anything else we have planned for the year! There’ll be more panel discussions, professional development opportunities, and fun networking events to come! Check back here and follow us on Facebook to stay connected.